We’ll help you to create beautiful landscape designs, and garden plans more quickly and easily. The designs we will come up with for your landscaping project will involve the right types of plants, trees and shrubs that will be used to bring out the best features of your landscape. This will also help the local environment by establishing proper run-off and drainage systems while adding new plants and trees to the ecosystem! We can help you to get design ideas & see the hottest plants for your next landscaping project that will actually help your local environment. When you have a huge backyard or garden space, gazebos can be the perfect addition to the landscape design. Whether you are designing the landscape for one home or an entire housing development, TH Stone Landscape Service will help you create impressive landscape designs without expensive classes or training. Locate plants that will thrive at your client’s location and add them to your landscape design with just a few mouse clicks. Many different design types of plan designs are available from TH Stone Landscape Service through large libraries of symbols, color washes, hatch patterns, gradients, and more. This functionality allows our landscape designers to create both detailed 2D plans and realistic 3D designs at the same time. Design houses, decks, fencing, yards, gardens, swimming pools, water features, and much more with easy-to-use tools. Rock gardens specifically set up to create natural appearing water features, with or without a pond, bring the ultimate joy to any backyard setting. With respect to blooming home gardens, you might want to place a little landscape designs in the entry so those who pass by can also enjoy the good labor of natural beauty and colors. Steve is the creator of TH Stone Landscape Service which offers free landscaping ideas , garden plans, pictures, and advice. We offer you free landscaping ideas, patio design ideas , garden plans, pictures, and advice, along with a professional landscaping service that will take the hard work out of making your home look great. Our team of expertly trained landscape designers can set up an appointment to have you come down to the store and browse through our giant selection of custom grown trees, palms and plants. TH Stone Landscape Service’s experts to not only give you the best trees and plants in the USA, but help you design your dream yard as well. We can guide you through every step of a landscape design project, starting with an initial consultation to outline what you need for your yard—such as drought-resistant plants or a bee- and butterfly-friendly yard. We specialize in sustainable, low maintenance natural landscapes that require less water, less resources and less time to maintain than traditional lawns or gardens. TH Stone Landscape Service is your professional choice for Landscape Designing and Consultations, Perfect Synthetic Grass, Fake Grass, Putting Greens, Child and Pet Friendly Lawns, Water Saving Irrigation Systems, Decorative Pavers, Skilled Concrete and Masonry, Landscape Lighting, Water Features, Automatic Fertilization and Misting Systems. With DIY Landscape Packages, Our designers will create a landscape design that fits your personality and needs, and then sends you home with a computerized photo rendering and a list of all the materials and plants to make it happen. 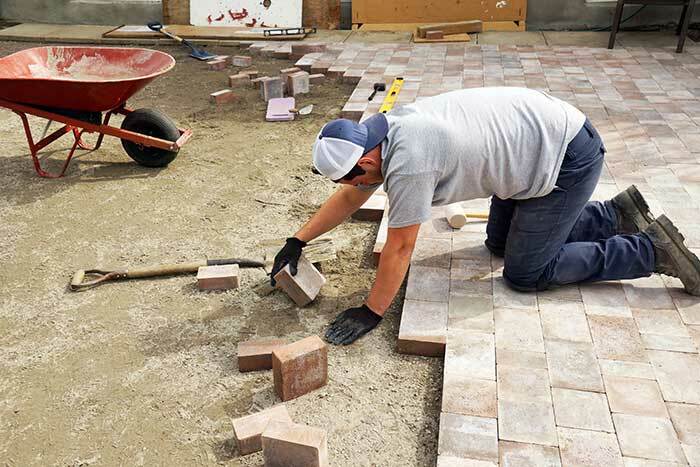 The staff is skilled in designing and installing patios , walkways, retaining walls, water features, perennial gardens, irrigation systems, and low voltage lighting systems.